I have long been bothered by perfumes, fragrances and air fresheners because I have an out and out allergy to these products. They are unable to tell me what I’m reacting to, whether it’s the smell itself or any one of many chemicals, some of which are unnamed. It is true that the manufacturers of perfumes and fragrances have the right to hide their ingredients, said to be “trade secrets”, from their competition and, subsequently, all of us. So I am sure I will never know which chemical I am allergic to even if I were to be tested for all of those on the labels. So many ingredients are not on the labels that it makes such an effort ridiculous. So what do I do? I buy every thing I use in an unscented, hypoallergenic version and, if available, organic and chemical free. So what does this have to do with you? Well, the truth is that many symptoms that occur after exposure to these chemicals are not known to be allergic by definition but they are as damaging as any chemical exposure. We are exposed to an enormous amount of toxins in our current industrial world, from fumes to saturated air. Just think about it from the point of view of fragrances alone, discounting all other sources like petrol, various gases, industrial chemical run off and smog. We are exposed to a huge litany of these products such as in hair sprays, perfumes, air fresheners, room deodorizers, carpet dusters, makeup, laundry detergents, soaps, shampoos, deodorants, candles, incense, cleaning products including the stuff you wash the floor with and rub all over the furniture. If you think about it, the amount of it is truly astronomical. And how is it affecting you? There have been documented cases of people suffering what was first believed to be an unidentifiable illness that later turned out to be chemical exposure from seemingly benign products like pine sol and glade plug ins. People suffer with swollen faces or limbs, puffy eyes or hands, fatigue, mood swings, vertigo, headaches, nausea and ataxia. There are many other symptoms, in fact too many to list here. I am not a doctor and I am not going to pretend to be but if you are feeling out of sorts and cannot figure it out, try eliminating some of these products from your life and see if things change. People have a hard time believing this. In fact, who would imagine that a simple candle or air freshener would make someone horribly sick? As a people we have an extensive history with scented products, making nosegays and sachets for centuries to cover the smells around us. In the days of poor sanitation this was an absolute necessity. The odors in ancient Rome, for instance, had to be ripe. But today we are much cleaner and better at hygiene so the need for this stuff should be less. However, we are more bombarded than ever! You just can’t watch TV, read a magazine or surf the web without seeing a constant flow of commercials peddling fragrances. In fact, you may not realize it, but you are probably right now wearing at least 10 chemical based fragrances, most of which you can no longer smell. However, they are affecting you without your knowledge and what might seem to be a regular headache is, in fact, a reaction to those very products and not a “normal” thing at all. Why is this a problem? If people have used fragrances for centuries, why is it a nuisance now? Well, for one thing we are more populated and crowded in with each other in cities and urban centers where you are exposed to all of this just standing in line at the post office. Haven’t you ever been stuck behind a woman in the movie theater that smelled like she had been dipped in some ghastly perfume? Add to this the fact that this process is now industrialized, a manufacturing process that involves petrochemicals and other toxic products that we have never experimented with before. Our ancestors made nosegays out of roses and lavender petals. Now we make these fragrances from a chemical soup. Synthetic scents are the rule of the day as fragrance manufacturers seek to expand their market and are very successful in getting their products into use just about everywhere. With all the dusting, spraying, spritzing, gelling, rubbing and scouring going on, we are literally swimming in this stuff. And almost every single product that you find in retail stores has fragrances added, even some of the food stuffs! This includes such unsuspected products as sports drinks and polyester shirts. Right now, if you are wearing makeup, using hair care products, shampooing on a regular basis and spraying on perfume, you are a walking talking petrochemical vat. And it doesn’t end with what you put on your body or what you might drink. They are now coming up with scented products aimed to control your mood and reactions. The Japanese are making these fragrance dispensers to be used in movie theaters to garner reactions to certain scenes. I guess they think it makes you feel like you “are there”. Another concept, introduced in this country, is scented packaging. I mean, what better than to have you whiffing the cinnamon and coconut before you get to the cookie box? They could even control what you buy this way. Think about this. They could scent a cola bottle with a delicious scent and sell you that cola, even if the scent wasn’t cola. But how impossible is this going to get? When you enter the store you will be awash in fragrances, from the bakery, from the cosmetic aisle and now from the cookie aisle as well. How do you make choices under this sort of fire? I was amazed to discover that over one thousand new fragrances were introduced in the US in the past year alone. That is one thousand over and above the seemingly millions already around us. We are overexposed and in danger of being poisoned this way. I’m not kidding. You should do some research and become aware of this if you are not. You should make conscious choices to avoid exposure by limiting the amount of chemical based products you use. The companies who make this stuff have no concerns over the possible dangers, just as they do not in many other products that have caused death and illness worldwide. You cannot hide in your room or wear a gas mask to the grocery store but there are ways to reduce the effects. Synthetic fragrances are not regulated by any known agency and they are protected from revealing their ingredients even if they are toxic. They need only use the simple word “fragrance”, which is meaningless in the grand scheme of things. This means that the same chemicals that must be disclosed and tested when used in gasoline and cigarettes go unregulated when put into a bottle of shampoo. You cannot depend on the FDA to protect you. The National Academy of Sciences (NAS) reports that “95 percent of the ingredients used to create fragrances today are synthetic compounds derived from petroleum, including benzene derivatives, aldehydes, and many other known toxins and sensitizers. Many of these substances have been linked to cancer, birth defects, central nervous system disorders, and allergic reactions.” NAS targets fragrances as one of six categories of chemicals that should be tested for neurotoxicity. This puts synthetic fragrances in the company of insecticides, heavy metals, solvents, food additives, and air pollutants. Did you know that exposure to scented candles is as dangerous as exposure to cigarette smoke? That incense and candlesticks have been implicated in many cases of lung cancer? You wouldn’t let your child sit next to a woman spewing cigarette smoke.. but who thinks when you sit your child down next to a burning scented candle? Think about this. According to the Environmental Health Coalition of Western Massachusetts, MACI,approximately 20% of the population reacts adversely to synthetic fragrance, with anywhere from 3.5% to 6% experiencing debilitating or even life-threatening reactions. Older people and children are more vulnerable to this, as well as the immune suppressed or otherwise sick. But you do not have to smell the fragrance to be affected by it. It is sometimes just the smell that makes some people sick but at least they have the advantage of knowing from where the trouble comes. Those folk with a reduced or lost sense of smell are hit just as hard but are at the disadvantage of not knowing what causes it or being forewarned when entering a room full of fragrances. These people can get horribly sick and have no idea what is causing their trouble. Toxicants in fragrances have been known to be dangerous and can cause everything from allergic reactions to a poisoning response which may include migraines, difficulty breathing, fatigue, hormonal imbalances, and digestive problems. 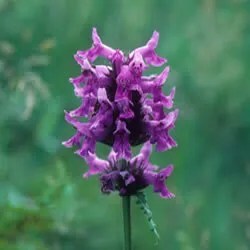 In fact, hormones in synthetic lavender have been traced to breast development in infant boys. There is no telling what this same hormone exposure is doing to the rest of us. You do not have to be sensitive to be affected by these chemicals. It has long been believed by most folk that the dose makes the poison; in other words, small amounts make no difference. But small amounts of so many products creates a soup that is no longer small. Researchers have tested and proven time and again that our bodies, even at low level exposures, absorb and accumulate the chemicals were are exposed to every day. There was another test done in France that I read about last year. They found aluminum chloride in the tissue of breast cancer patients. And not just in a few. What is aluminum chloride? A major component in underarm deodorant. Frustrated by this danger and the lack of regulation over the industry, Betty Bridges established the Fragrance Products Information Network. Betty is a registered nurse who became chemically sensitive in 1988 after an acute exposure to the fragrance chemical amyl cinnamaldehyde, a common fixative in cleansers. She investigated fragrances for 11 years, and in 1999, worked with Barbara Wilkie, the president of the Environmental Health Network of California, to file a petition with the FDA requesting regulatory enforcement of the fragrance industry. So far, the FDA has not taken any action. Another organization, the Environmental Working Group has also found troubling results after studying the impact of cumulative chemical exposures termed “the body burden.” Follow the links on this page to learn more about this problem and start watching what you expose yourself to. For more ideas on how to make nontoxic cosmetics, fragrances and cleaning products, explore this blog often. I post on this subject a lot.